With its growing popularity, many homeowners have been asking us about stamped concrete in Ottawa for walkways, driveways and backyard patios. What is involved in this method? How does it hold up to the elements? What is better? Interlock pavers or stamped concrete. At Ottawa Home and Garden, we know that every aspect of your home is an investment, including your exterior surroundings. We want our clients to not only love the final results visually, but we want these outdoor additions to hold up against Mother Nature. It should be maintenance friendly and look and feel as great as it did when you first put them in. With that in mind, the only option for our climate in Ottawa is interlock pavers. So what is stamped concrete? And why is it not ideal? 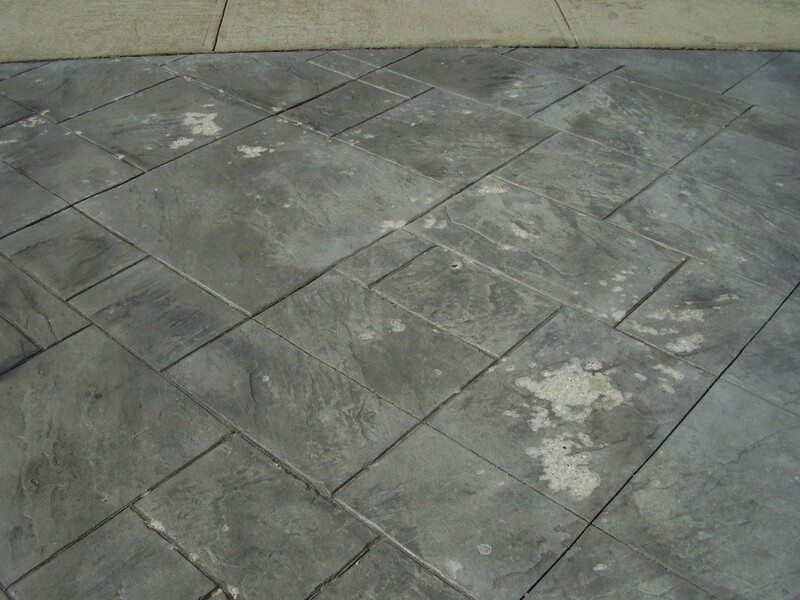 Stamped concrete is poured concrete that then has a pattern stamped on it to give texture, making it look like stone. It is popular because it’s cheaper than using real stone or interlock pavers. It has to be sealed every year, so it is high maintenance. If you do not seal it every year, the warranty is useless. In the Ottawa area, many homeowners use deicing salt on their steps and patio. But salt eats away at concrete, so the texture on stamped concrete in Ottawa will start to wear away. When improperly sealed, blisters and pop-outs can occur on the surface, and get worse with time as water gets in and freezes. Stamped concrete takes a little bit longer after installation before you can start enjoying it. Why? Since it needs to cure first, this option takes about 3-5 days before being able to welcome traffic. Whether it’s within a few months or a few years, this product is guaranteed to get cracks. Factors like heavy loads, settlement and the fact that concrete tends to shrink over time play a huge role in this maintenance challenge. Speaking of repairs, it can be a rather involved operation. Most maintenance work requires heavy machinery like a jackhammer to replace the area in need. Unfortunately to repair it usually requires the entire structure to be replaced as color matching to the existing is nearly impossible. Interlocking stone uses polymeric sand in between all the joints, these natural joints between each pavers will “give” with pressure, expansion and contraction, eliminating the cracking as you would experience with stamped concrete. Interlock requires less maintenance. From time to time you may need to fill in the spaces that form between individual pavers with sand, but there is no need for annually sealing the surface. Pavers are ready to go immediately after installation and tend to be much more forgiving than concrete and easier to fix. Paving stones are individual units that interlock with each other providing a more giving environment with pressure, expansion and contraction, making them better suited for extreme climate changes. if a repair ever does become necessary from example oil spills in your driveway or city repairs, pavers can be easily replaced without leaving ugly patches or mix matched colors. If pavers are correctly installed with a good base, there shouldn’t be significant issues with setting or heaving. When investing in your property, you want to choose a paving material that can stand up to Canada’s winter weathers, require minimal maintenance, be the most cost-effective (long term), provide durability, look it’s best and add value to your investment. 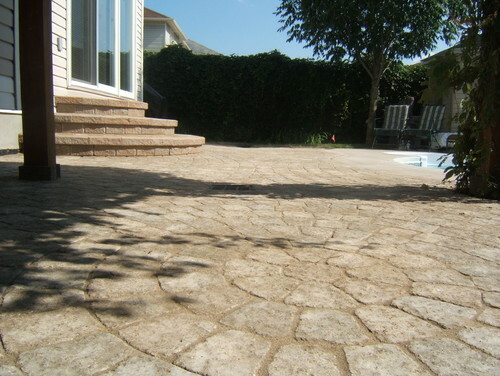 For these reasons, the interlock contractors of Ottawa at Ottawa Home and Garden only install interlocking stone pavers, providing you with a look you’ll love and a sound investment for your home.